Jaeger-LeCoultre’s Geophysic collection harks back to a time when nuclear tensions were taut between the Eastern and Western Bloc. A time in 1958, at the height of the Cold War, when a period of collaborative worldwide scientific experiments and excursions took place. Dubbed the International Geophysical Year. One of the more notable expeditions of the time, was a pioneering cross under the North Pole, by the first nuclear-powered submarine, the USS Nautilus. Essentially this new limited edition is identical to the previous versions. It has a 39.6mm stainless-steel case with alternating brushed and polished finishes. Triple faceted baton style hands remain and are lume-filled. Matching dots of lume still surround the outer flange of the dial. 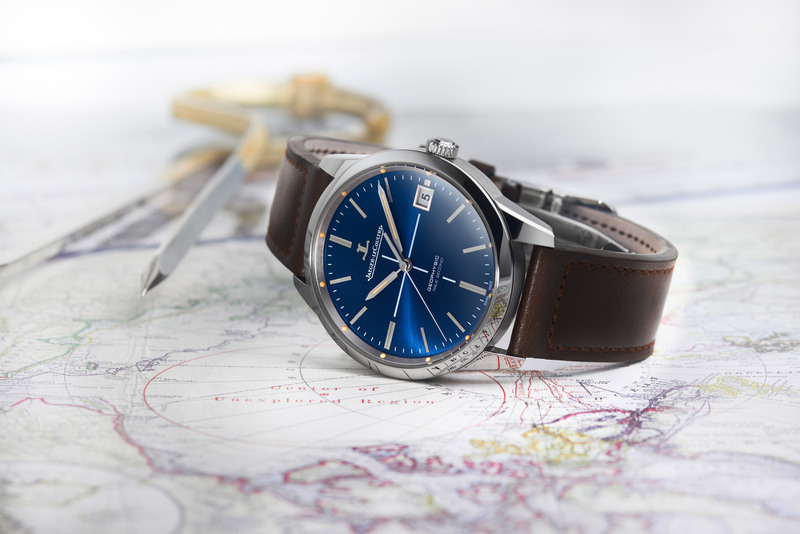 The cross-hair centre is reminiscent of location-mapping instruments and can also be found on the original 1958 Geophysic. And long slender indices mark out the hours, with a date at 3 o’clock. 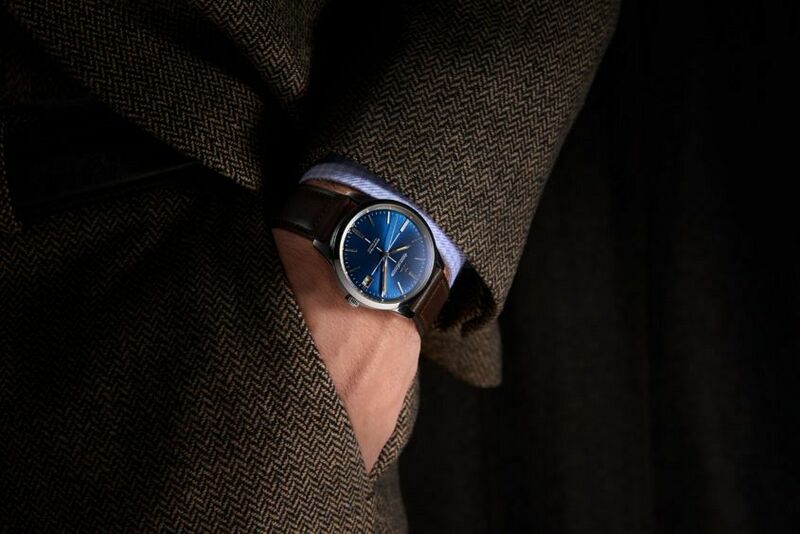 The biggest and only real change is the mesmerizingly blue sunburst dial. 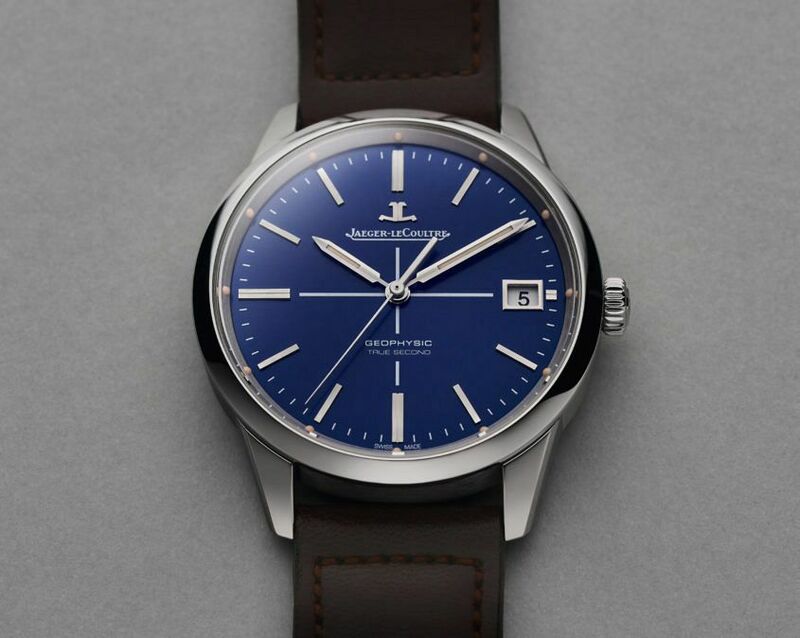 The biggest news however, is that the Geophysic True Second Limited Edition will only be available for sale through the Jaeger-LeCoultre online boutique. Bad news for us Aussies, as the online boutique is not yet available down under. But with only 100 pieces available, each one engraved with “limited edition – one of 100”. I’m sure they’ll go quick anyway.